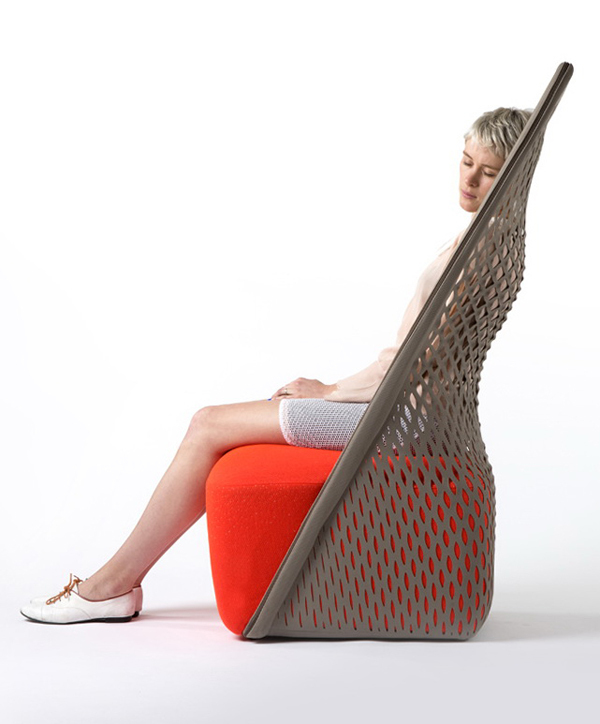 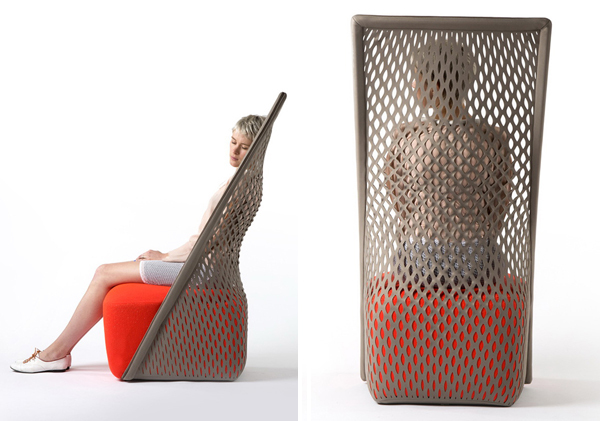 British designer Benjamin Hubert has created “Cradle”, a unique blend of two typologies of seating, a net structured hammock and a conventional upholstered lounge chair. 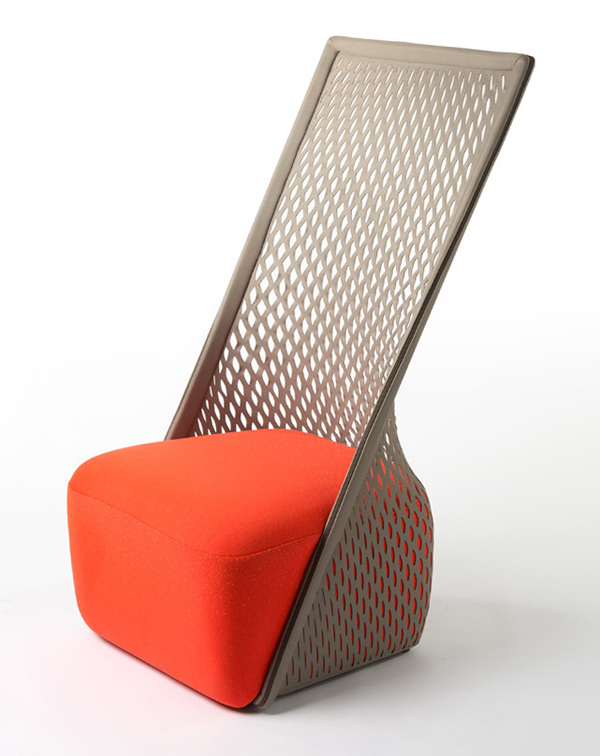 The chair’s aesthetic is purposefully architectural with a sharp rectilinear backrest contrasted with a softer seating area, breaking traditional rules of seating typology and styling. 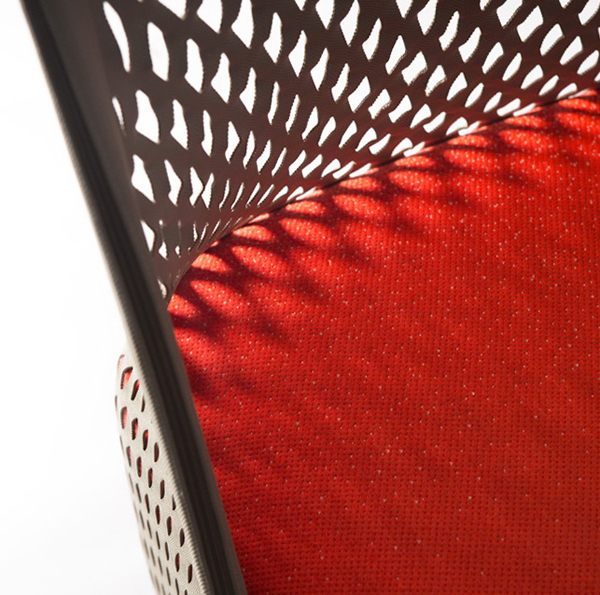 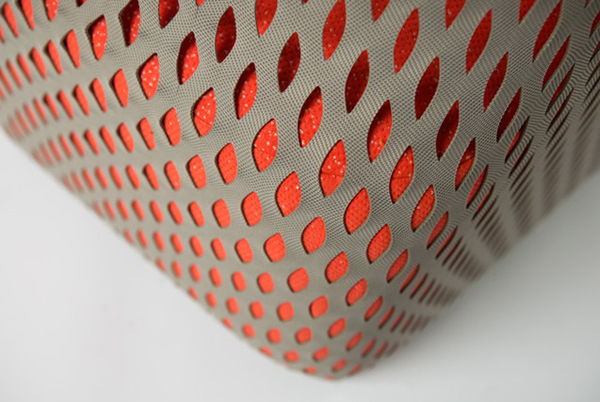 “Cradle” utilises a custom-made cut pattern that allows a non-elastic textile to perform in a three dimensional way. 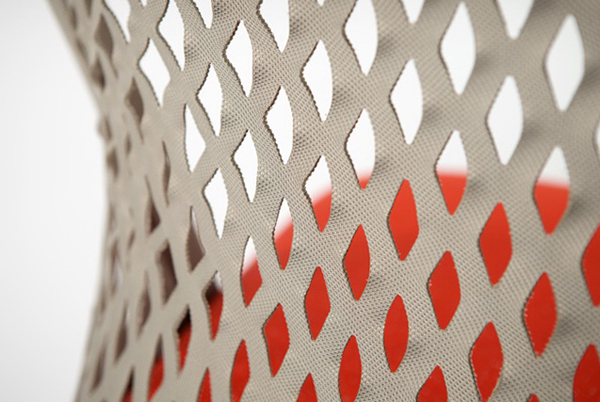 This allows for the correct tension to comfortably support the body and both visually and physically reduces the product’s weight and cost.